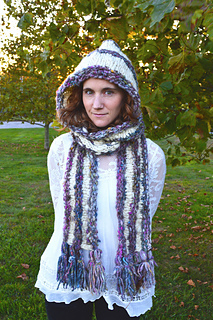 I’m so excited to release the Hoodie Scarf Pattern by Susan Sheby today! 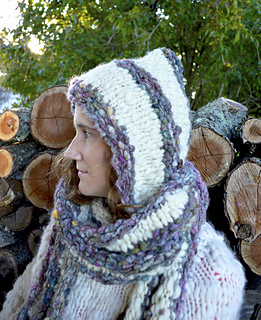 This pattern is an update to our popular hoodie cowl pattern, both accessories are really a hat and neck-warmer in one, SCORE! 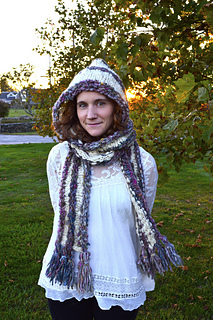 The scarf ties are easy to adjust and wrap around your neck as loosely or tightly as you wish. 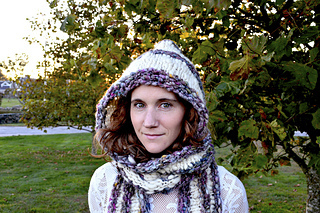 I also love the neutral, granola-girl color way the sample is knit up in and mixed textures of the garter stitch stripe. 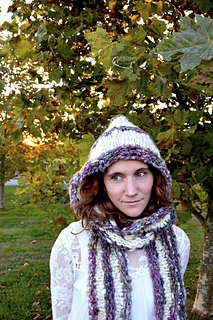 Cast Away is shown here in color Nomad and Sister yarn in Soft Ivory. 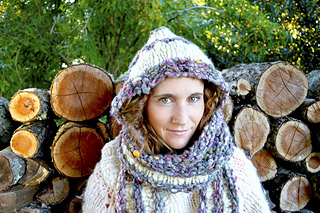 Skill Level: Intermediate, you will need to know how to do short rows for this pattern although a link to a tutorial video is given in the pattern.